St. Paul lays out a problem and a solution in the 1st Reading today. In the face of sin and death, Jesus Christ conquers all. As we face the struggles before us, may we turn to the Lord for the grace we need. After all, the victory is His. The images of a mustard seed and yeast remind us that little things can bring about big changes. The spiritual virtue of Hope empowers us to face our lives with the grace of Christ, who will work through us in little ways to make a difference in the world. Study: Consider the people who inspire you. What qualities do they possess that speak to your mind and heart? Pray: Invoke your favorite saint(s) in you daily prayers. Remember that they are cheering you on the journey of faith! Serve: How can you be an example and witness to others? How can your life draw others closer to the Lord? When you think of saints, what comes to mind? Serene, smiling faces in clean white robes? They had their share of struggles. Life brought them obstacles and difficulties. They had their share of blessings. They experienced beauty and grace. They made mistakes. Sometimes their sins were epic…with horrible consequences. They returned to Christ. Over, and over, and over again! We celebrate the saints this Sunday, recognizing in their lives the hope we have in Jesus Christ. The Lord makes the path to heaven possible, and the saints have walked on the way before us. They made it! Not because they were perfect, but because they turned (and returned) to the Lord. They are our inspiration. In our struggles, in our blessings, in our mistakes…we keep our eyes fixed on Jesus Christ. We have hope that the one who bridged the gap between heaven and earth will continue to support and guide us on our journey to eternal life. Do you have favorite saints? Call upon them for help! Are you unfamiliar with the saints? Check out any of the links below and get started learning some more about the supernatural heroes who cheer us on to eternal victory. Mary and all the Saints…PRAY FOR US! 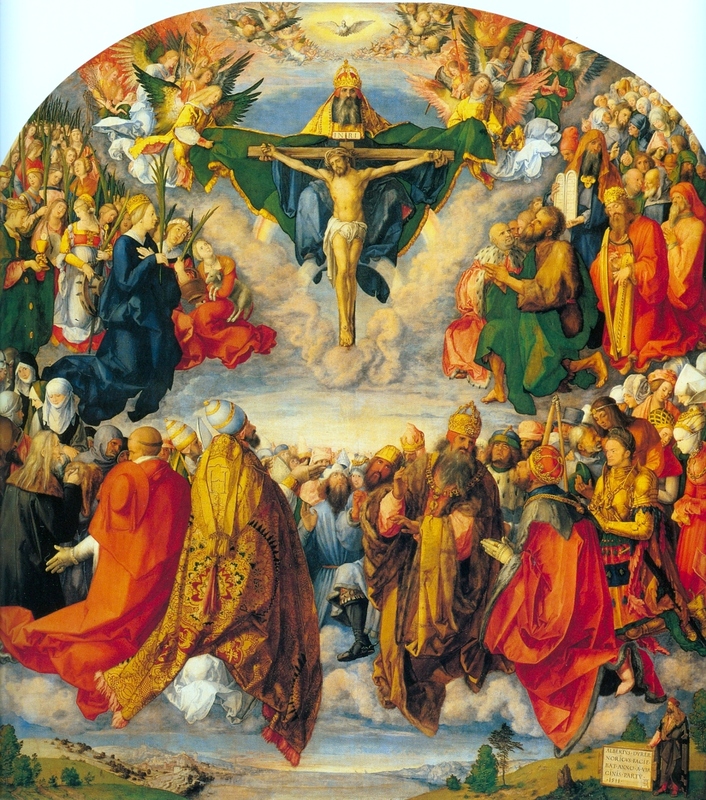 All Saints Picture, Albrecht Durer; 1511, oil on panel, 441 x 500 pixels, Kunsthistorisches Museum, Vienna, Austria. The grace of Jesus Christ brings power to our lives. We have the opportunity to draw on Christ and share his grace with others, especially as we live our vocation and help others to find their own! Are you looking for some practical ways to transform your life? Do you long for something special, filled with power, purpose, and meaning? Fr. Andrew looks at 3 areas (Self, Others, God) and applies them to the ordinary and routine elements of daily life. This Theology on Tap presentation was given at Vintage Italian Pizza (VIP) in Superior, WI on October 22, 2015. We see the signs of nature and know how to respond…the Lord invites us to do the same for our heart! 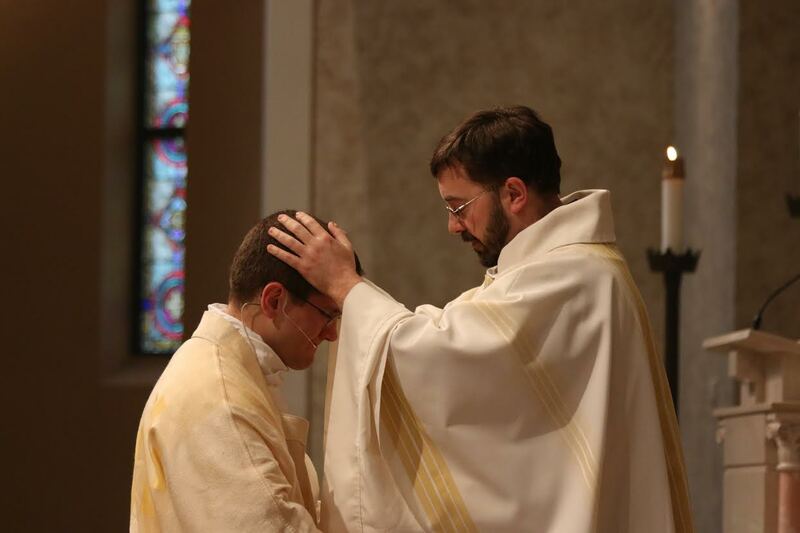 This daily Mass homily was given on October 23, 2015 at the Cathedral of Christ the King in Superior, WI. May we acknowledge our sins and embrace the freely given gift of grace! 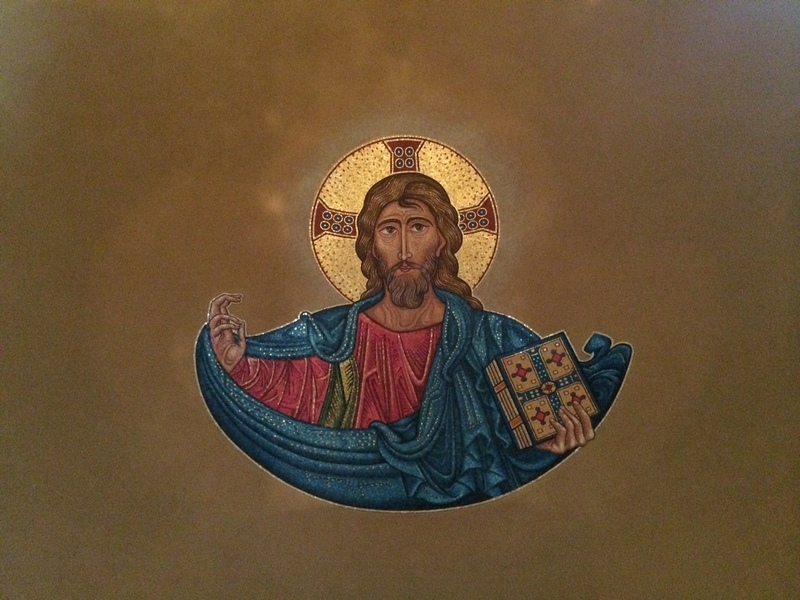 This daily Mass homily was given at Cathedral of Christ the King on October 22, 2015.